Odin has disappeared! Thor is feared dead! The fate of the world hangs in the balance! Ambushed by his evil uncle, Loki, Thor, with his last breath, throws his hammer back to Asgard so that the first one who touches it, per his instructions, can use it’s power to save the universe from Loki and his forces of evil…at least that was the plan. A quick twist of fate finds twelve-year-old Kevin Erikson tumbling through a rainbow vortex and landing in Asgard, the realm of the Norse gods of old. His sudden appearance interferes with passing of Thor’s hammer to his younger brother Balder. Kevin soon learns he is the only one who can wield the legendary hammer of Thor to save Asgard and Earth from the evil schemes of the Trickster, Loki! 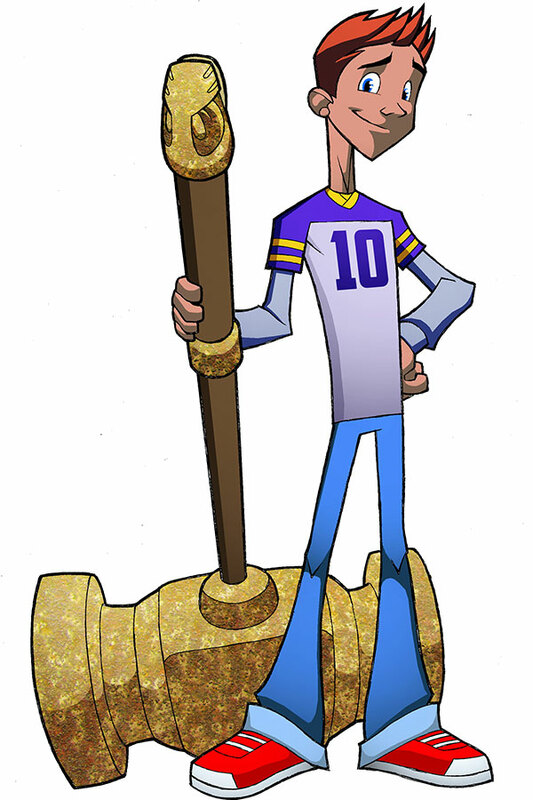 How will a mortal boy from Minnesota go from juggling algebra and bullies to the awesome responsibility of wielding the hammer of Thor? 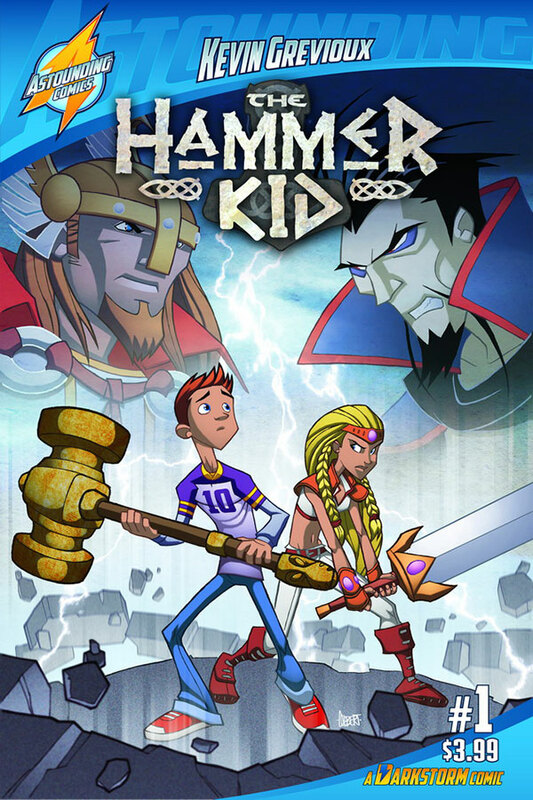 Find out in the adventures of THE HAMMER KID!